Are You Being Served at National Museum of Scotland? One of the things I would say to people who ask what it’s like to be a Visitor Services Assistant at the National Museum of Scotland is that it’s an experience. No two days are the same and the best way to find out what it’s like is to take a walk through the galleries and see what’s going on. This in mind, I took myself (and a camera) and went for a walk through to show you what the typical day is like for myself and my fellow Vistor Services Assistants, tasked with making sure our visitors get a 5-star experience! I started out at the Information Desk, where Jonny and Jenny were busy manning the phones and selling tickets for upcoming events such as the Airshow and Ming: The Golden Empire exhibition. 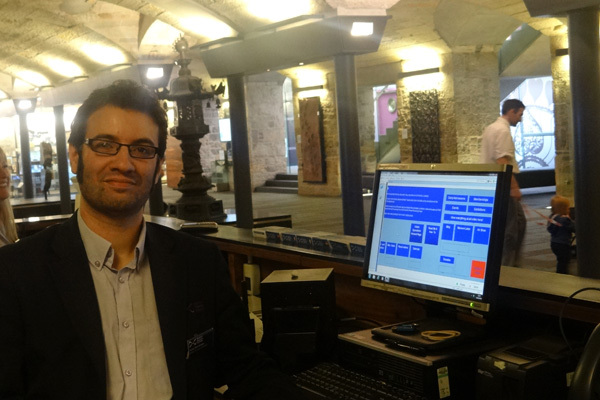 Jonny at Info Desk, Entrance Hall at National Museum of Scotland. Jenny at the Info Desk, National Museum of Scotland. Moving on up to the galleries, I caught up with Maria in Living Lands; where she was topping up supplies for making prayer flags and hanging some new ones up. 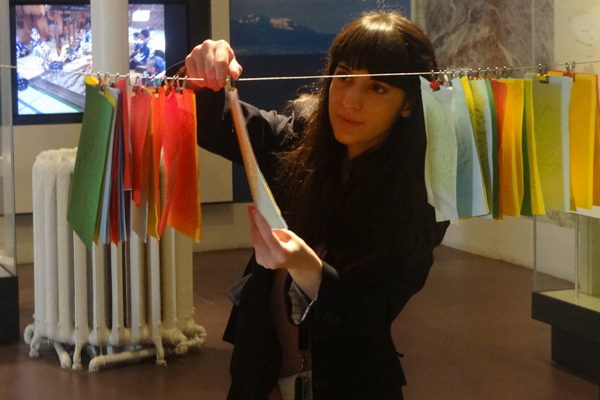 It’s a very popular activity with visitors so new flags need to be added pretty quickly! Maria in Living Lands at National Museum of Scotland. 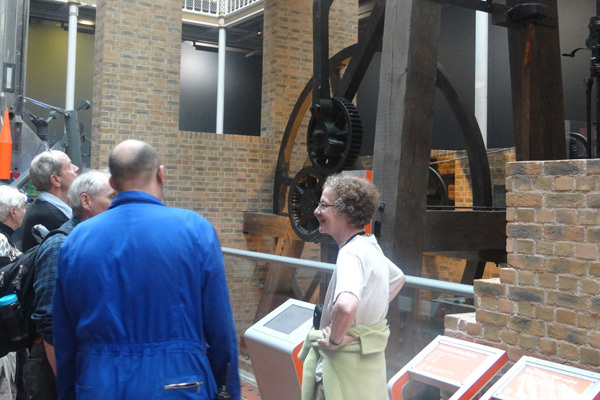 Then I headed through to the Museum of Scotland, stopping via the Boulton and Watt engine which we run daily along with the Newcomen and Douglas and Grant engines. 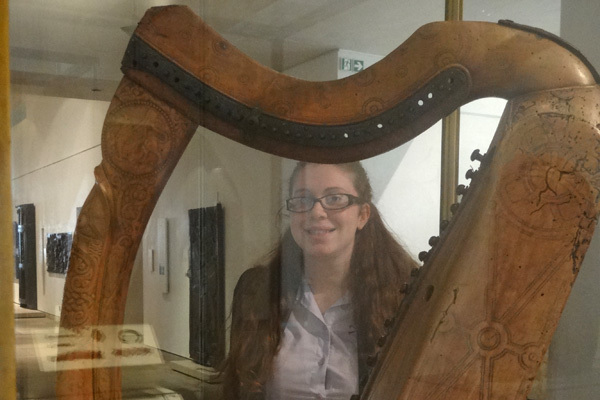 I then found Amy in Kingdom of the Scots where she had just been answering some questions about the Queen Mary Harp (which coincidentally is also one of her favourite objects). Amy and the Queen Mary Harp, National Museum of Scotland. 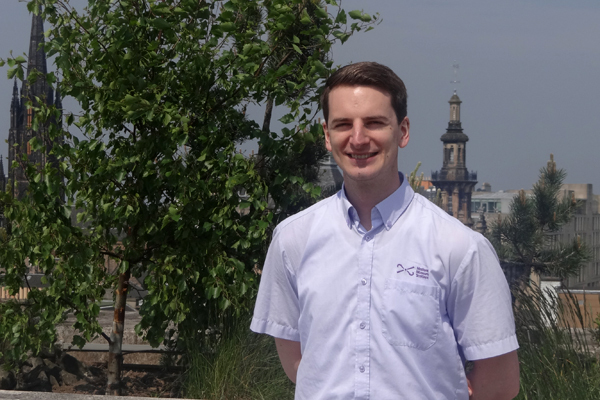 Given the sunny weather today, I had to head up to the Roof Terrace , where Andrew was telling visitors about the local landmarks you can see (this position is a definite bonus in the summer months!). Andrew on the Roof Terrace, National Museum of Scotland. To round off, I stopped past the Team Leaders’ office, where Tim was catching up on sorting the daily rotas, staff holidays (very important) and finishing off the collection and counting of the donation boxes. Luckily, he doesn’t have to count the donations by hand , but given the number of boxes in the museum it still pretty big task. Tim behind-the-scenes at National Museum of Scotland. 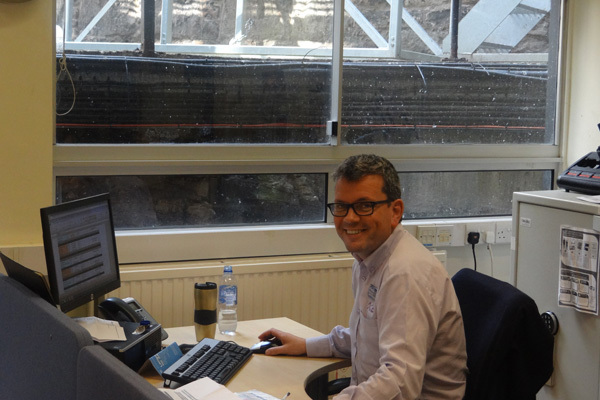 As well as catching up with my colleagues, I also took the chance to ask them “What is it you enjoy about working in Visitor Services?” The answers varied but had one common factor: the people you work with, visitors and colleagues alike. Bearing this in mind, come say hello to us next time you’re in and if you need a question answered, don’t forget to look out for the lilac shirt! I see red and orange and pink and green…. Lindstrand Hot Airship will be displaying at the Airshow at East Fortune. 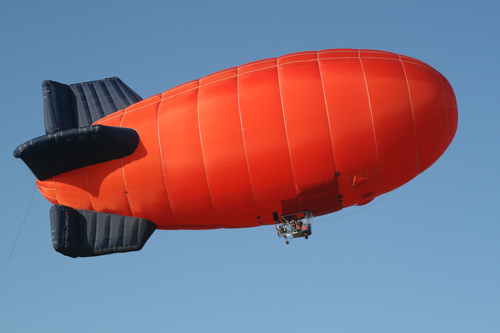 Also new this year is the Lindstrand HS110 Hot Airship which will be flying before and during the interval display. The bright orange airship will no doubt impress everyone at around 120ft long however it would have been dwarfed by the giant 643ft R34 airship which flew from East Fortune in 1919, on the first east to west transatlantic air crossing. Other stars of the show include the Sea King helicopter, P51 Mustang, and Swordfish and the Tiger Moth and the amazing RAF Falcons Parachute Display Team who will no doubt wow visitors with their skillfully choreographed displays. 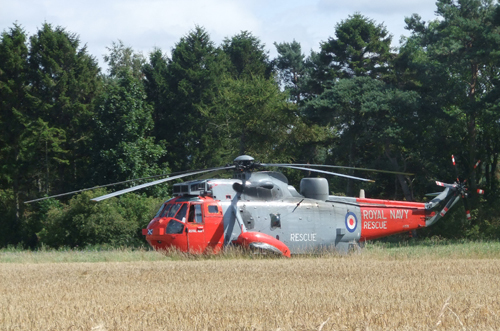 A Sea King SAR helicopter will be at the Airshow at East Fortune. If, like me, you prefer your displays fast, noisy and red then you won’t be disappointed as making we welcome back the fantastic Red Arrows, with their world famous display of precision aerobatics. 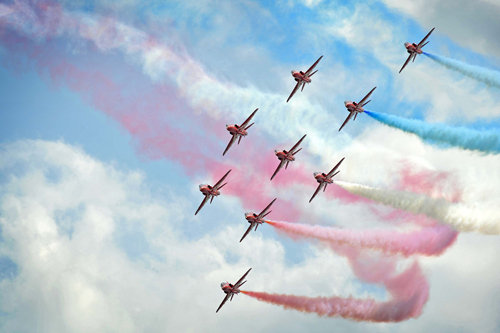 Red Arrows in formation with colour on at RAF Waddington Airshow, 2011 © MOD Crown Copyright.